Yesterday stuck for something to do I thought it would be fun to decorate some Easter eggs with The Toddler. Naturally my first idea was a disaster so I had to quickly think of something else I had around the house. Washi tape! Of course!! I wasn’t sure if he’d fancy it but these washi tape Easter eggs were super popular with him. To make them we merely got a packet of stylafoam Easter eggs (£1 from The Works if you’re on the hunt for some) and covered them in bits of washi tape. As my son is only three I had to help him tear the washi tape. Apologies for the fact that there aren’t more action shots here but naturally I ended up feeding the baby at the same time. I am pleased to report that you can tear washi tape while holding a bottle under your chin. 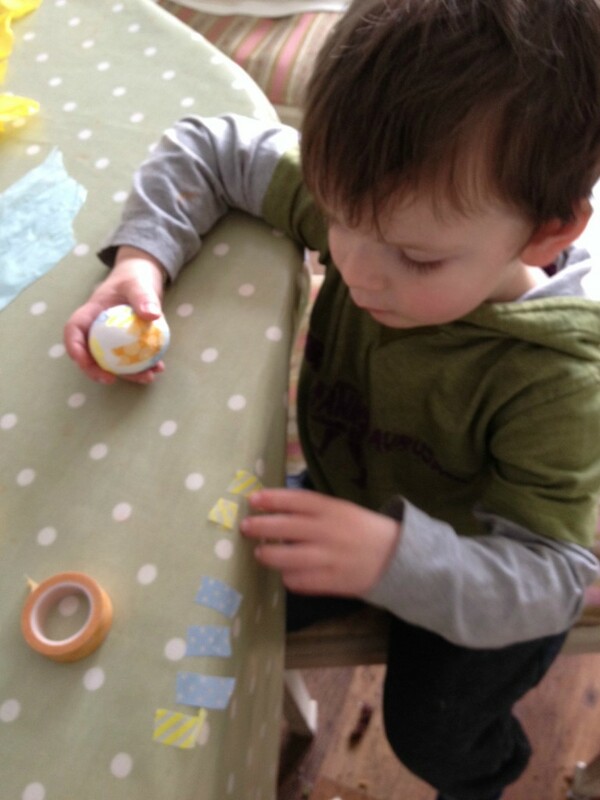 The toddler really concentrated hard on this task and took ages over it, ensuring each egg looked how he wanted it to and smoothing down the tape to keep them egg shaped. I also go regular instructions on which colour tape he wanted more of! We have put his decorated eggs in a bowl in our front room alongside some of the other Easter crafts he has been doing to make a nice little Easter display. He also enjoyed throwing them around the room while I was trying to photograph them but they’re really lightweight so I didn’t mind too much! Don’t forget to follow my Spring and Easter Board on Pinterest for loads of crafting inspiration! This is a good idea, and the best thing is that it’s easy for a toddler to do! Them eggs looks more expensive after the tape! 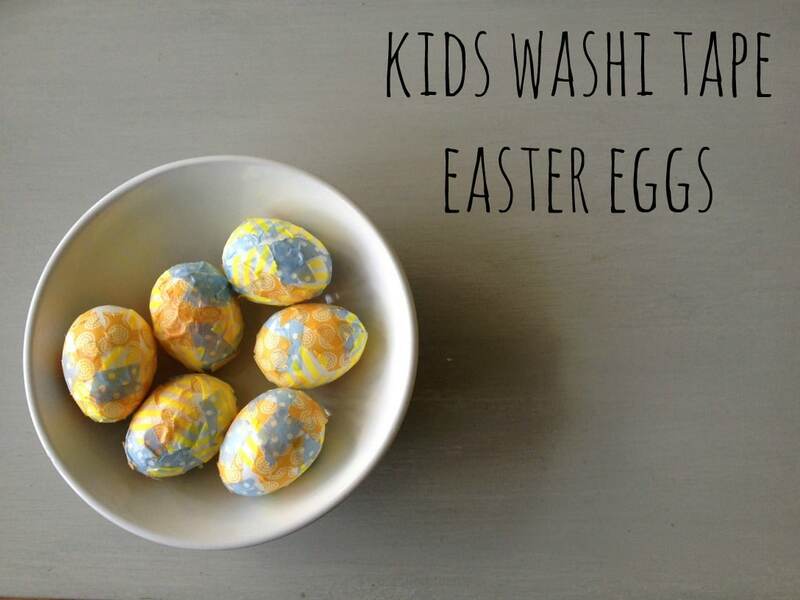 Looks like simple easter fun. We have some of those eggs to decorate, not sure how yet. I’ve not used washi tape before, need to give it a go. Not used washi tape?!? Go get some now! It rules!! Brilliant hun! I want to put branches in a vase and decorate each season & wasn’t looking forward to getting eggs out of the shells without it resulting in utter carnage – off to the works! Lovely idea for little ones! These are so pretty and look like fun to make. I love washi tape. It’s very brave of you to let your son craft with it – I find it really hard to share my stash! I’ve not used washi tape before but it looks a) useful and b) something that my craft-loving girls will go ga-ga for. Going to have to get myself kitted out with washi tape, I can see. Great eggs, they look beautiful. And I love the way you can feed the baby at the same time! I have previously breezed on past these foam eggs in The Works – how good is this shop for cheap bits and bobs! I might see if my son will have a go at something like this as he is quite uninterested in crafts – probably due to not liking to getting his hands dirty, so this could be a good option. He could even put stickers on them. Thanks for the idea. So glad that washi tape has caught on in the UK! Love the stuff! I’m definitely going to have to get some washi tape. My kids will love doing a project like this with it – as well as probably sticking it everywhere they can. 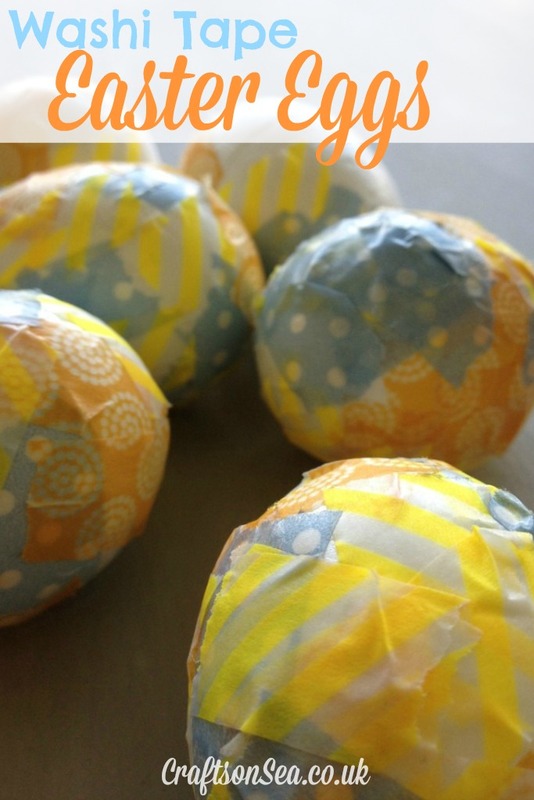 we have tons of washi tape in our house, what a great way to use some of it up!